January book review and what I did with a book I didn’t like. Avid reader? Great, I’m glad you’re here. Haven’t picked up a book in a few months or maybe years? Great, I’m glad you’re here too. There was a time in my life when I hated to read. I mean hated it. Then I became a middle school teacher. Hmm, i’ll save that topic for another day. I really started to develop a true love for reading when I started reading books I actually loved. We are all guilty of not making time to read. Our lives get busy. And we find awesome Netflix shows (Switched at Birth) that consume our time. I know. But 2017 is a new year and I decided to change my reading habits. I mean who doesn’t want to read about Chip and JoJo Gaines? If you love Fixer Upper and you love Chip and Jo, this is a must read. 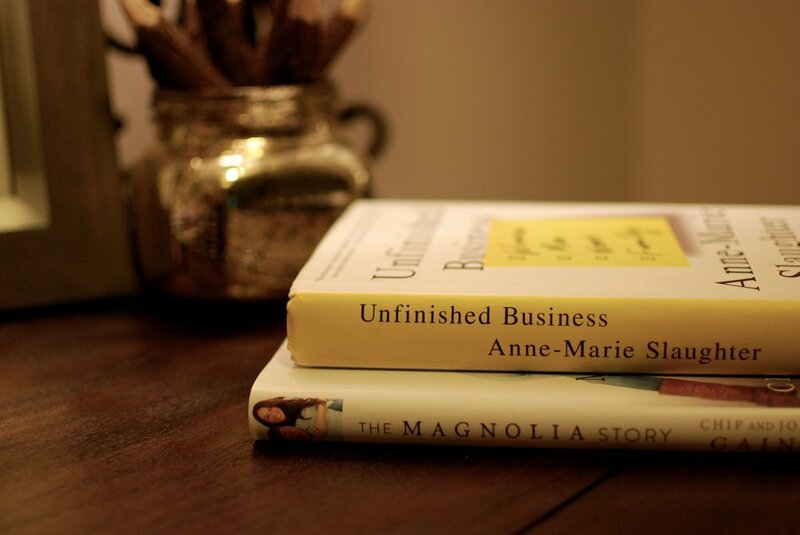 The Magnolia Story is an easy read, you will be done in no time. Mainly because you just won’t want to put it down. By the way, JoJo and Chip are the ones telling their story. It’s almost like watching them on TV. I thought I knew a lot about Chip and Jo, but this book dives deeper into their life as a couple (how they met, their dating life, their early years of marriage). It’s so refreshing to read that they are just like you and me. What they have experienced in their lifetime (before the TV show of course) were things regular people go through all the time. This story is uplifting, promising, it will make you laugh, gasp, and maybe even shed a tear. It's a great early morning coffee book. Or a late night hot chocolate book. But most of all, this book taught me an important lesson. I am not perfect, and my house doesn’t have to be perfect either. There’s a poorly painted spot on my wall. So what. My drawers in the kitchen don’t automatically close. So what. We have ten pairs of shoes on the floor. So what. This book really made me stop and look at things differently. I promise you will love it. And then I read something a little more constructive. Unfinished Business: Women Men Work Family was a book I so badly wanted to love. Anne-Marie Slaughter writes about her dream job as the first female director of policy planning at the U.S. State Department. At times, I do enjoy reading about successful women and their journeys. It allows me to reflect on what I am doing as a woman in the workplace and helps me plan for the future. However, I didn’t ever officially get ‘hooked’ to this book. Does that happen to anyone else? I found myself wanting to skip ahead to something a little more meaty. This is one of those late night, read in your comfy bed books. At one point in the book, she talks about true equality between women and men and how we can get there. She also addresses how motherhood tends to derail our career path, not just delay it. Overall, it’s about how care-giving and earning an income come together. For BOTH men and women. Because it’s not a one woman/man job. With all that being said, I did take away quite a few things and I would recommend it to others interested in these topics. Whew. Two totally different books. 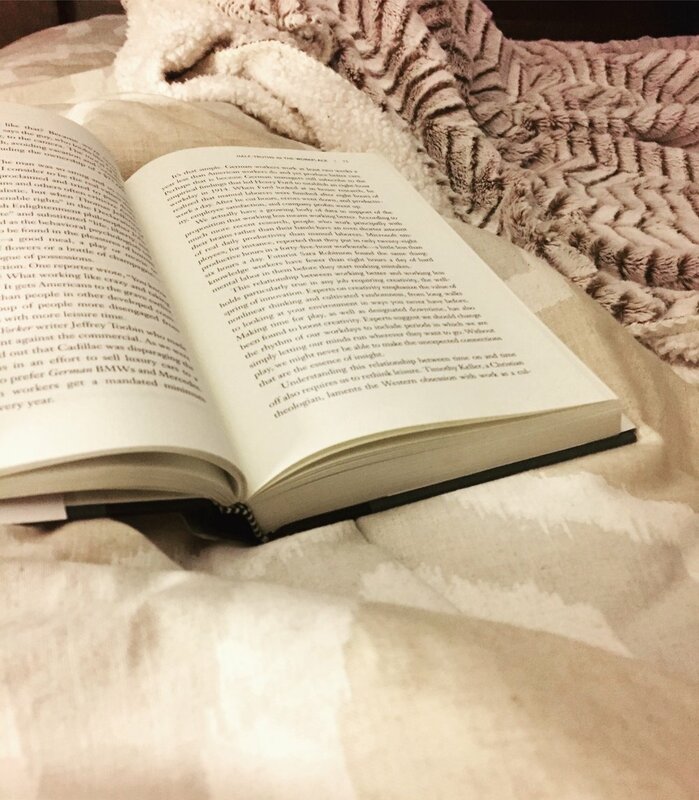 I can’t wait to share with you what i’m reading next! Now, those books I don’t like. There is only so much room on a bookshelf, right? 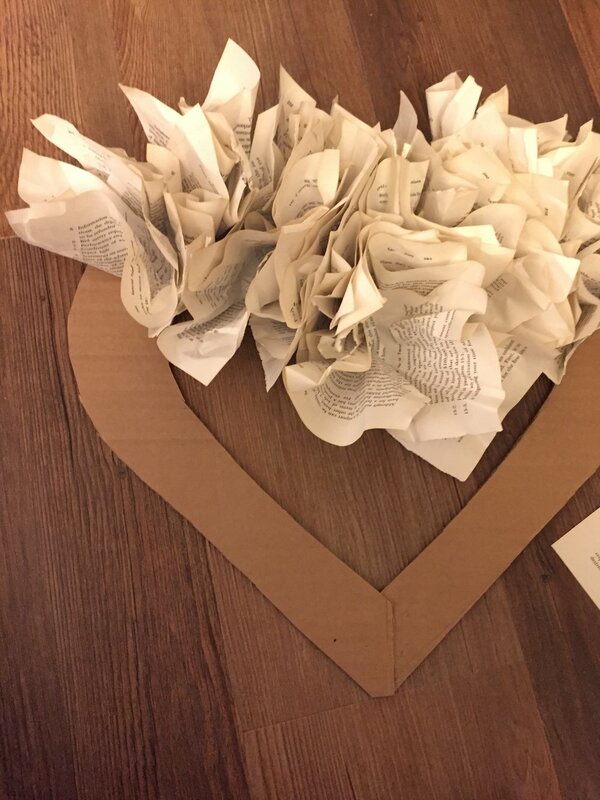 So instead of keeping the book around to collect dust, why not do something with it? 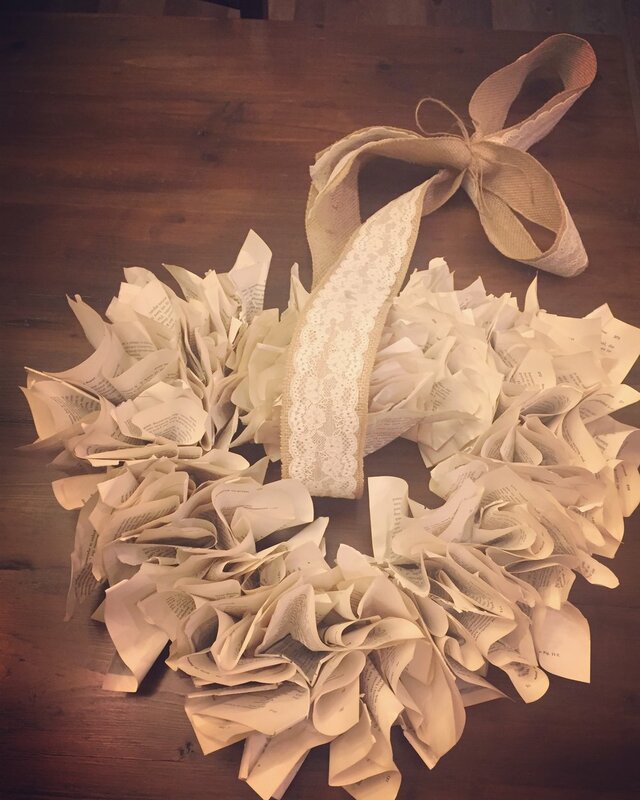 Here’s how I made a wreath, out of that book I didn’t like. Cut your desired wreath shape. Because Valentine’s Day is approaching, I decided to do a heart. I then glued the two sections of cardboard together to form my final shape. Tear the pages out of your book. You can cut them in half if the book is big. 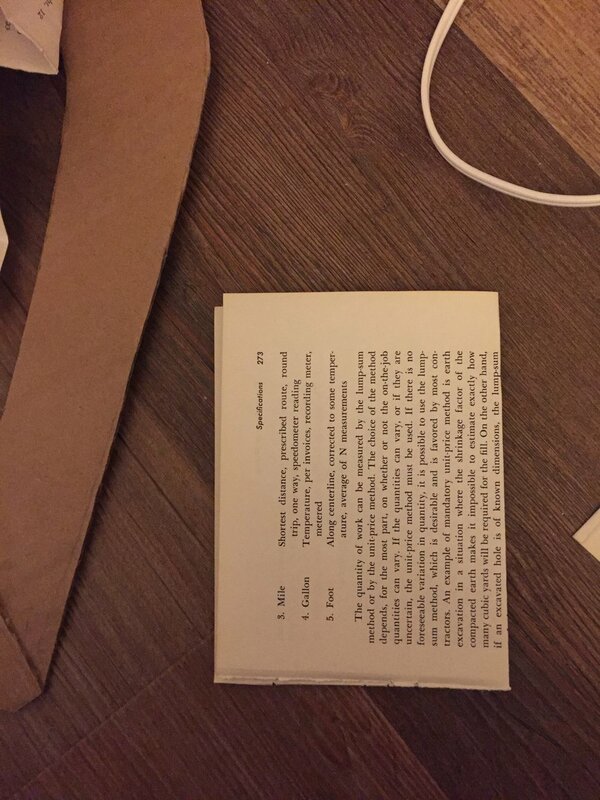 Glue the individual pages to the cardboard. 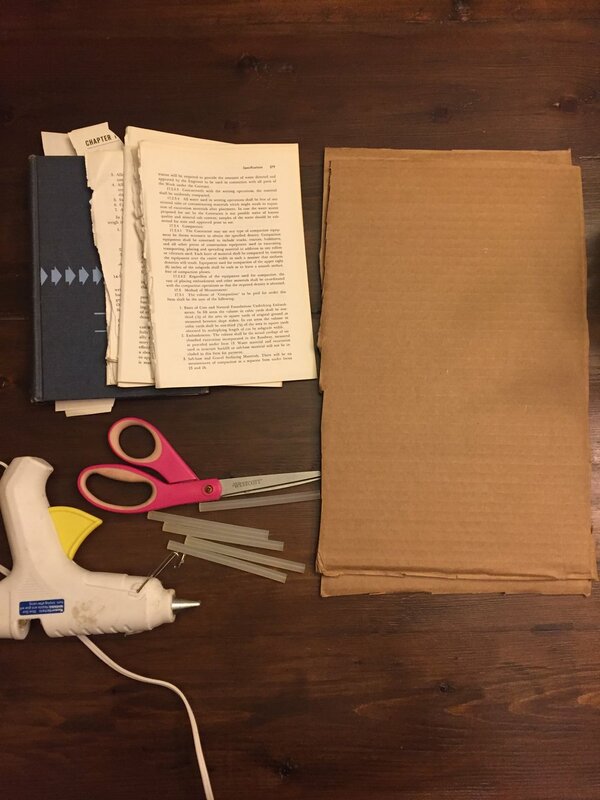 Be sure you are gluing the pages really close together. You will notice the gaps. Let it dry, and tie your ribbon around the top. 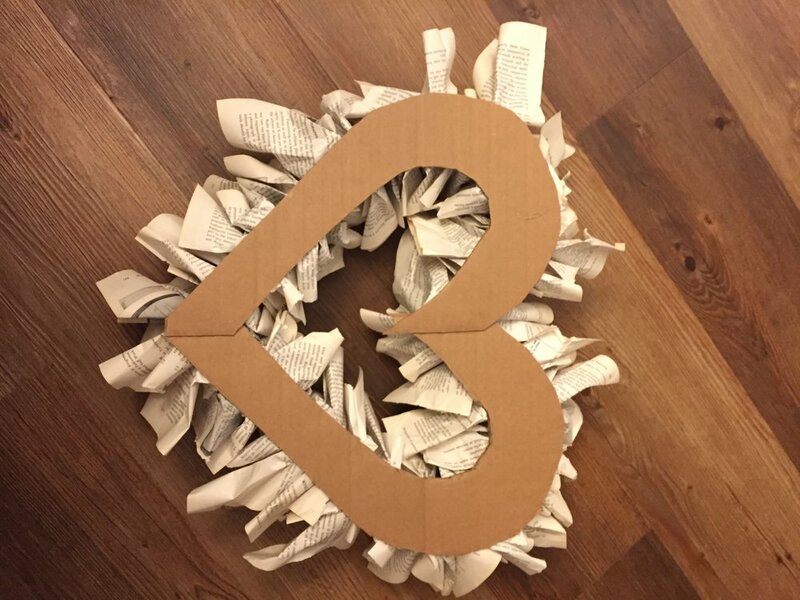 Now there’s more room on my bookshelf for books I love and an adorable book wreath hanging in our house in honor of the season of love. If you missed my post about the season of love - and the secret to all life's challenges, find it here. Newer PostPhoto to wood transfer in 6 easy steps! Older PostHow to build a wood table with an X base.